An easy fit design wall bracket with a wood frame in a washed grey finish. This is a versatile piece with luxury braided black cable and plug, it can be fitted and plugged in without need for electrical fitting. The light has an E14 (SES) lamp holder but comes supplied with a reducer allowing it to be used with E27 (ES) shade sizes. This is a wall fitting only and does not come with a shade, adding your own shade allows you to create your own unique feature light. Perfect for rustic settings. Here at The Lighting Company we have a large and every growing range of lighting to suit every setting. 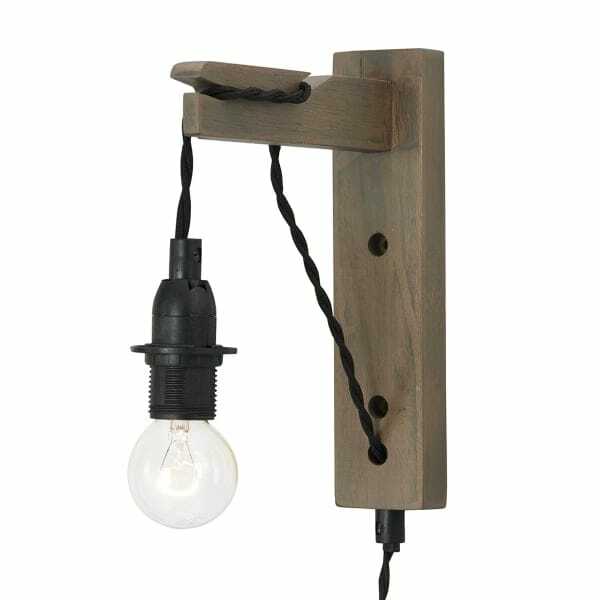 Browse the full range of rustic wall lights here: Rustic Wall Lights.